Some construction companies call themselves design/build, but their body of work can only charitably be described as adequate. Their emphasis is clearly on “build” with a faint nod to design. Caleb Johnson Architects + Builders (CJAB) is a different design/build firm. 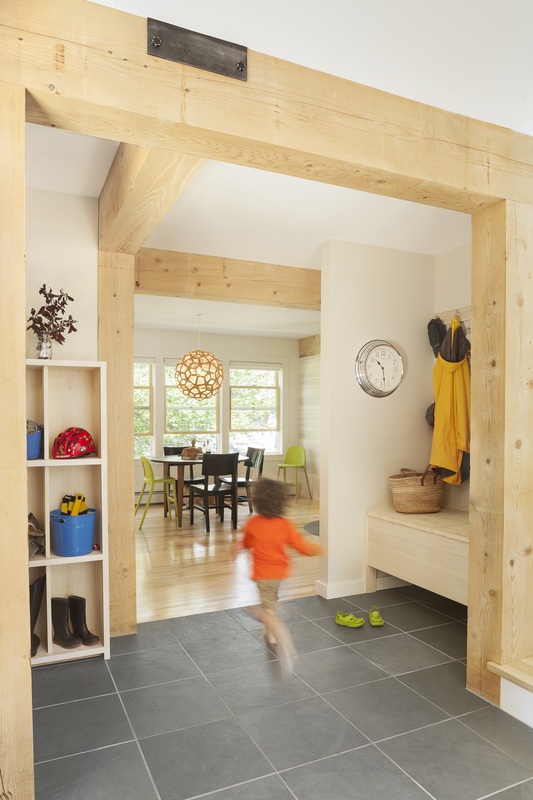 Based in Biddeford, Maine, CJAB stresses design as much as it does construction, producing custom homes that hew to a regional vernacular. As the company tells it, the firm designs and builds traditional houses with modern amenities that work for the way their clients live. 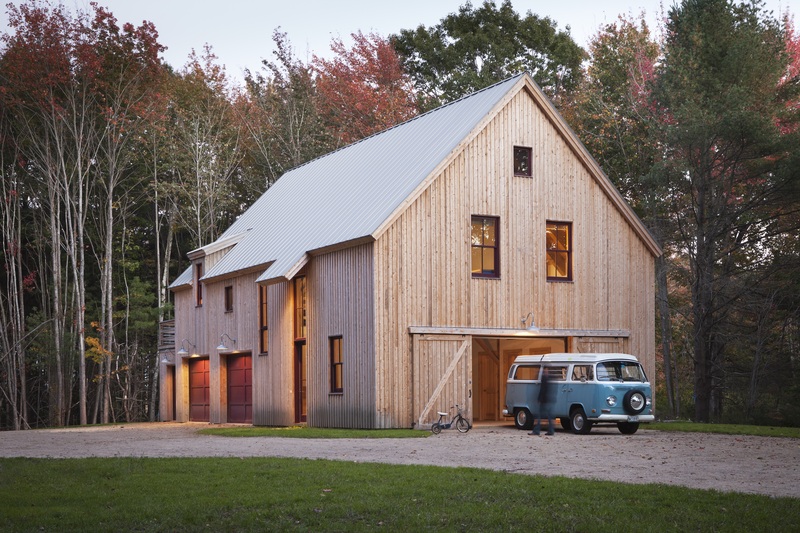 The Ben’s Barn house by Caleb Johnson Architects + Builders incorporates salvaged materials. CJAB is headed by Caleb Johnson, an architect with a history in construction that dates from a “childhood of making stuff” up through college, when he spent time on framing crews. Building his designs was always Johnson’s dream. “From a very early point in my career, I desired to be someone who develops projects from scratch as well as builds them, so I can have influence—if not control—over the entire project,” he says. The Solar Barn project features a super-insulated shell and uses local materials. Perhaps because of the firm’s location on the Maine coast, custom vacation homes are its specialty. “That’s what we’re known for,” Johnson says. “It’s our bread and butter. We do about two to four $800,000-plus vacation homes a year, and that really is the heart of our operation.” The rest of CJAB’s projects range from kitchen jobs to $500,000 renovations or starter homes. Part of the firm’s success stems from knowing its custom niche and sticking to its principles of good design and sound construction practices, such as proper site orientation, adequate overhangs, and appropriate materials selection. 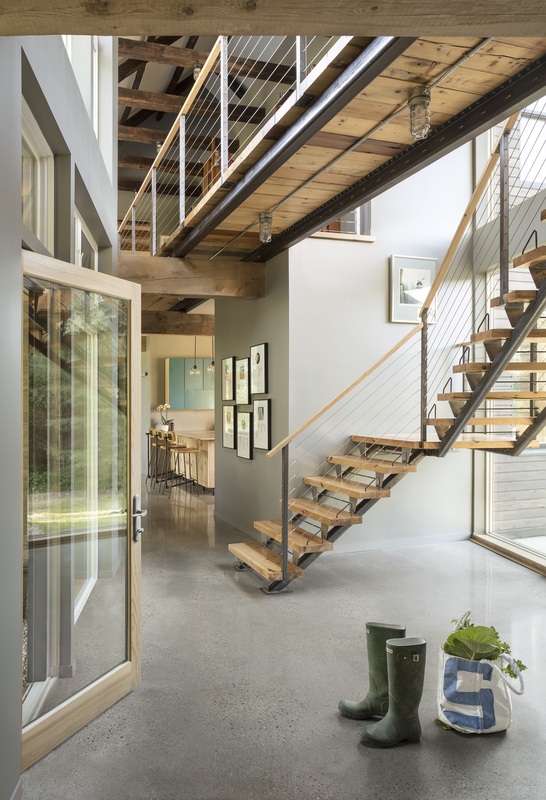 The firm builds houses that range from $300 to $500 per square foot and often designs and fabricates many of a project’s details, such as forged door handles. 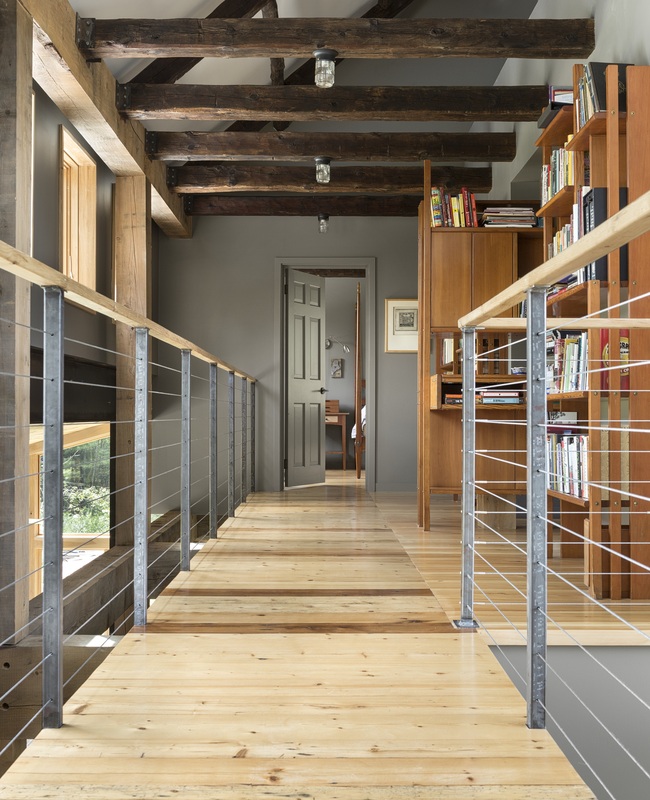 The catwalk in the Ben’s Barn project uses the same cable system as the staircase . Despite CJAB’s success, the company is experiencing the same challenge as many builders across the country: a labor shortage. Though the firm strives to build everything it designs, it occasionally gets too busy and has to farm out the work to other qualified builders. As a result, it’s constantly looking for talented carpenters to join its team or good subcontractors to supplement its labor force. “We find that to be one of our biggest challenges,” Johnson admits. CJAB acted as both architect and general contractor for this affordable renovation project. CJAB also is looking at local vocational schools to find qualified candidates who the firm can train from teenagers right up to an apprentice program—or, if things work out with the trainee, to a carpenter position on staff. For now, Johnson says, the company will use “fast and accurate” framing subcontractors to start projects and employ the best crews to finish them. Comments on: "New England Know-How"